Meghan Markle's weekend seems to be off to a quintessentially British start, as she was just spotted attending a polo match (the Audi Polo Challenge in Ascot) that husband Prince Harry and her new brother-in-law Prince William played in. She was joined by friend Serena Williams and her husband. Alexis Ohanian. 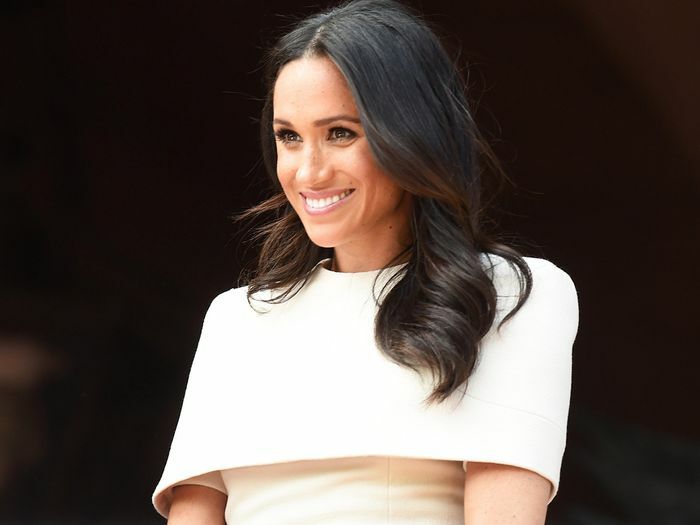 While a polo match is one of the most British things you can do on a summer weekend, Markle's outfit is one that plenty of American girls are probably wearing this very weekend too: a sleeveless shirtdress by Shoshanna, which she accessorized with a Madewell straw hat and leather sandals by Sarah Flint that are basically the chicest flip-flops on the market (yes, seriously). See Markle's look and shop her thong sandals and similar pairs (including hers in three other colors) below. Want more Meghan Markle updates? Sign up for Who What Wear's daily newsletter.